Sometimes, when you’re in full-on search mode for your ultimate used car, the pickings can seem slim and the prices high. That’s not the case when you make Doug Henry Chrysler Dodge Jeep RAM your first stop on your search for the perfect used vehicle! At our Kinston, NC dealership, we have a huge selection of high-quality pre-owned vehicles from many different automotive brands. In addition to those you’d expect from a CDJR dealership – Chrysler, Dodge, Jeep, and RAM models, of course – you can find popular picks from automakers like Chevrolet, Toyota, Hyundai, and many more. Whether you’re in the market for an economical commuter car, a family-friendly SUV, or a heavy-duty pickup truck, you’ll love all of the options in store among our well-stocked inventory. And that’s not all you’ll love, either: Let’s talk price. 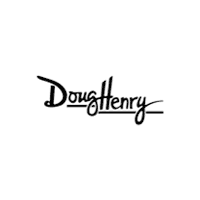 At Doug Henry, we don’t just want to sell you a vehicle – we want to sell you the right vehicle. And, when you’re talking about used vehicles, “right” often comes down to the price. Not only do we offer an incredible range of prices to suit any budget, we also work with you and your budget to make sure that the deal you get on your top pick is an amazing one that will leave you smiling all the way home. To get an idea of our array of price points, take a look at our used car inventory online. You’ll see some great prices right from the start – and we even have a selection of vehicles priced under $10,000 to give you a budget-friendly starting point. Save time as well as money by filling out a credit application and getting a quick estimate of how much your trade is worth. All of this can be done online and will allow you to get right down to the business of choosing your perfect used car when you arrive at our Kinston dealership. With the kind of high quality and low prices we have to offer, nothing sticks around our used lot for long. So, if you see a vehicle you think belongs in your own driveway, hurry in to Doug Henry CDJR and speak to one of our friendly associates. They’ll be happy to put you behind the wheel for a test drive of your favorite models and show you all the ways we can help you save. Visit us today at our conveniently located location near New Bern, Goldsboro, and Greenville, NC, and let us show you how easy and enjoyable used car shopping can be!